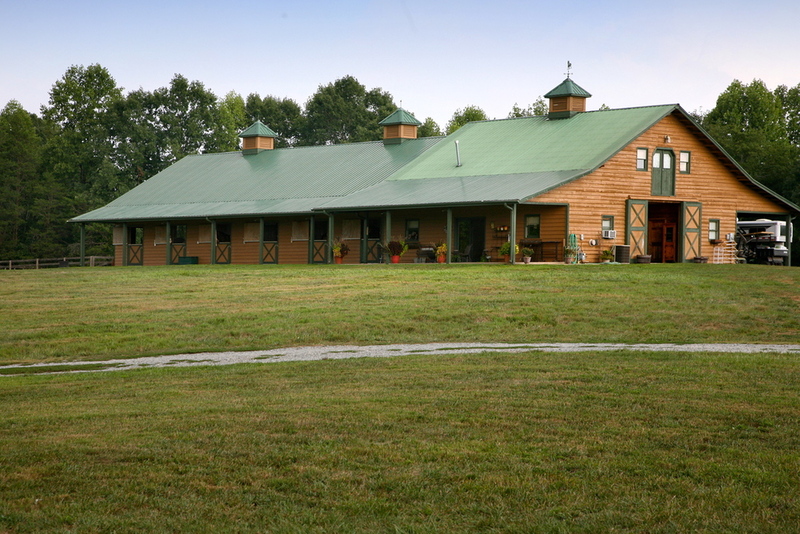 Beautiful, well thought out facility with warm and professional owners/trainers. Eric has competed at the Advanced Level in Eventing. In 2001 and 2003 he competed at the world renown Rolex International 3 day event. He was long -listed for the World Equestrian Games in Spain in 2002 on Eveready. In 2004 he was short listed for Olympic games in Athens Greece on Stonehedge Herritage He was coach and selector for Area 4 Young Riders Team Program. Most currently, he won the National Retired Race Horse Challenge in Maryland in 2013. 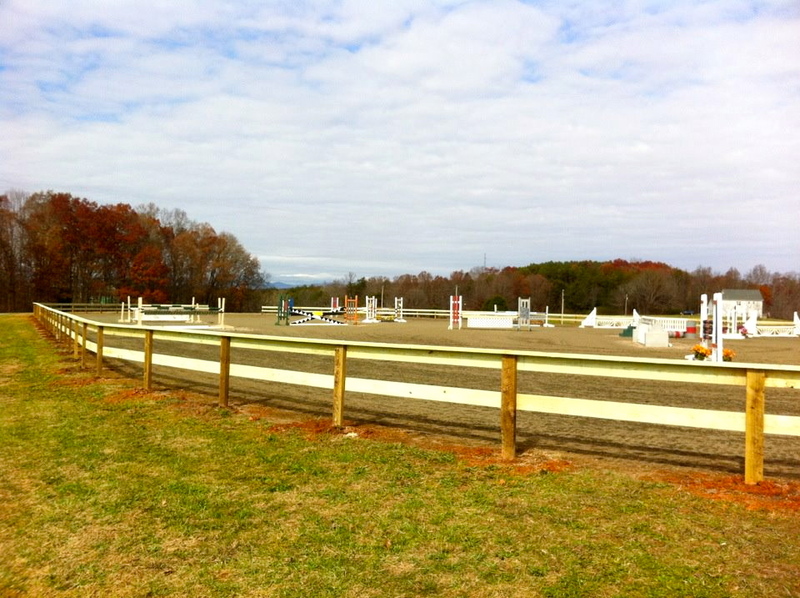 Eric is currently focusing on bringing several upper level prospects along in eventing. Eric is a graduate "A" from Fox River Valley Pony Club and was recently inducted into the United States Pony Club Board of Governors. He splits his time between competing, training and teaching. He has competed in the North American Young Riders Championships and since then has brought up several horses through the ranks to go advance including the Rolex CCI. Eric was crowned winner of the Retired Race Horse Trainers Challenge in the Spring of 2012 from which each participant was given an off the track thoroughbred for a month of training and judged in front of a panel of three judges. A big believer in the thoroughbred, Eric believes "they have a big heart that gets misunderstood for hot tempered. If you have compassion for your equine partner and take the time to understand them, one can accomplish what ever one puts the time into." Trayce and Eric Dierks currently own and operate Renovatio Farms in Tryon NC. Trayce has been in "the horse business" for 20+ years. Growing up in the mid west, Pony Club and Eventing were the fundamentals of establishing her career. Relocating to the Carolinas in 1989, Trayce continued with these principles obtaining her "A" rating in pony club at 17 years old. ( from Greenville Foothills Pony Club) She went on as a young rider in Eventing eventually climbing the ranks through Intermediate level. Trayce then went on to attend the College of Charleston where she continued her riding and graduated with a Bachelor of Science in Education. While in Charleston she continued her involvement in Pony Club by becoming the District Commissioner of the Charleston Pony Club for 2 years. She moved back to the Tryon, NC area where she proceeded to manage several farms in which she taught lessons, trained and ran sales out of. At this time she furthered her education in dressage for the next four years, winning numerous titles and ranking nationally on her Dutch mare Toshieba . From here she was introduced to connections in Holland. Numerous trips to Europe put the more "Classical" approach into her dressage training. She then started her importation business in 2004. In 2009-2011, with mount Alboretto Wonderland, she set her sights on a life long goal in the Grand Prix Show Jumping arena. The pair competed in numerous Prixs across the south east, with top 10 places in 8 money classes. In 2012 Trayce also headed as the Co District Commissioner of the River Valley Pony Club, the local chapter in NC/SC. Trayce has competed through the Grand Prix level in Show Jumping and is currently working on bringing along several horses to compete Training Level through Prix St Georges Level in Dressage this Spring. One of those being coming 5 yo homebred August Rush. She is pursuing the Grand Prix with new mount Oleander, in hopes to work towards achieving her Gold Medal in Dressage for 2015. Trayce has dedicated her life to horses in proper care and individual management of all. Whether it be her personal horses, training and sale horses, or student's horses. Instilling her motto... "A place where excellence, safety and fun are not just priorities, but a way of life." Trayce and Eric are supporters of the United States Pony Club (USPC) and the Tryon Riding and Hunt Club (TRHC). Individualized Feed Programs to include any combination of our sponsored company Seminole Feeds. Kentucky shipped alfalfa/orchard hay and local orchard/fescue hay. Rubber Brick Paved aisle way. 300 acre access of Private Trails.